The large play set in our backyard has been torn down. It's gone. Destroyed. I remember when my husband and I first bought this house, our first home. Our sixth baby wasn't even walking yet and we were confident enough to make this huge investment in our future. 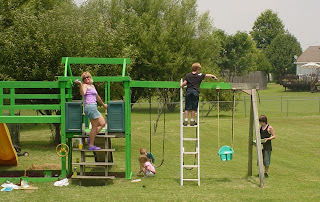 The play set was already in the backyard when we bought the house. But we made it one of our first priorities to fix it up and make it nicer and stronger. Safe from outside forces. A place where our family would be secure forever. I look at the pictures of us painting the play set just six years ago. I remember how happy and full of hope we all were. The kids were so young, and we were all a bit naive. But we had love and I was confident life would be kind to us. The play set is rotted now and with great sadness the decision to get rid of it was made. What happened? We took it for granted that it would always be there even without our attention and dedication. We allowed outside forces to influence it's stability. We stopped caring for it. 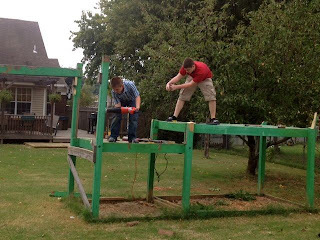 So with nothing more than some tears, a saw, and a crowbar the play set was torn down and thrown away. Despite its years of loyalty to the family, it's now been rejected. Thrown away like trash. I know that rejection. I'm living it daily. I've wailed, cried, begged, pleaded, bargained and argued. All to no avail. There were nights I couldn't take the thought of the only life I've ever known ending that I considered ending my own life. But that's not me. I am in a kind of pain I never experienced before, but I won't abandon those who do still love me, want me, need me and depend on me. I can't be that horribly selfish to just walk away from a rotted mess. I will find a way to heal the rot. If nothing else, the past 25 years have taught me that love is a choice. Every day we wake up, we have a choice to make whether to love or not. I'm not going to claim that I chose love every day. Too many days I chose not to allow it. But when push comes to shove, always choose love. Always. There's a big empty void now both in my backyard and in my life. My heart physically aches when I look at it. It's a big open space and I have no idea what, if anything, can or will fill it. Most of the old play set sits tonight in the burn pit awaiting a bonfire. A symbolic burning of the old and a hope that a new future will arise out of the ashes. Out of destruction comes a new creation. But I can't let go of the memories. I refuse to believe that today's rot negates the happy memories we did have. Although the memories often bring me to my knees in tears, I won't let go of all of them. 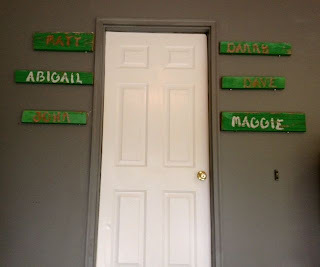 I have saved the boards where the kids wrote their names on the play set and hung them up where I'll see them daily. A new place and a new purpose. A reminder of happier times. A reminder that there was love. And love still exists. Oh my word. I'd be heartsick. I'm so happy you saved the boards. 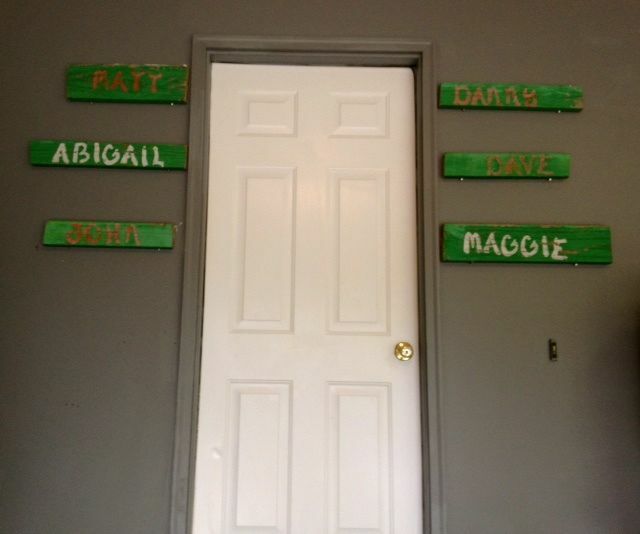 I love that you hung up the boards, what a great memory, even when the memories may feel shredded right now. I just read your last post also. I think of you often and send love to you. Remember that post a few summers ago about how you're not a true southerner because you don't have a garden. Sounds like you know have a perfect place to plant some love and cultivate new growth. Can any of the wood be used for some raised planter boxes?